Serving Ridgefield CT, Redding CT, Wilton CT, Weston CT, Westport CT, Fairfield CT, Darien CT, Greenwich CT and most of Fairfield County Connecticut. Also Serving North Salem NY, South Salem NY, Lewisboro NY, Bedford NY, Armonk NY. Chappaqua NY and the rest of Northern Westchester New York. 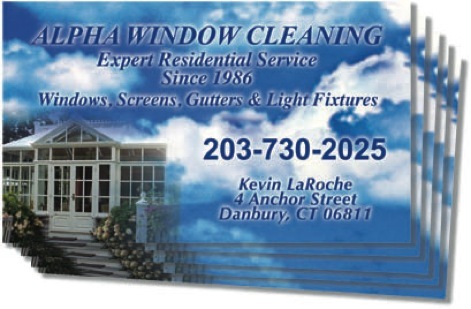 Alpha Window Cleaning provides exceptional quality residential, commercial window and gutter cleaning. 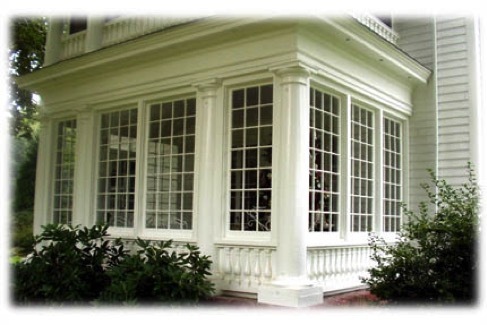 Services include interior and exterior window, screen and sill cleaning. For a no cost, no obligation estimate Call 203-730-2025. Please leave your name, address, and phone number. All work completed by the owner with over 30 years experience in all phases of window cleaning.